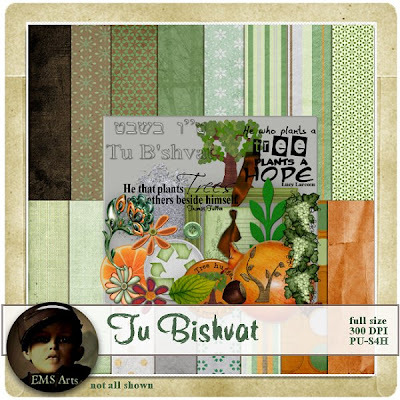 Today is Tubishvat! The day of the trees. 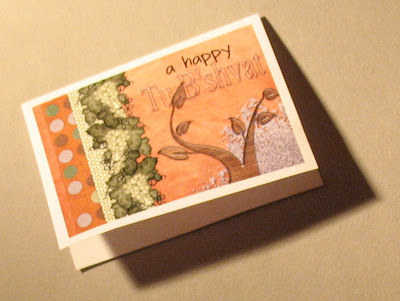 Tu B'Shvat, the 15th day of the Hebrew month of Shevat is the New Year for trees. 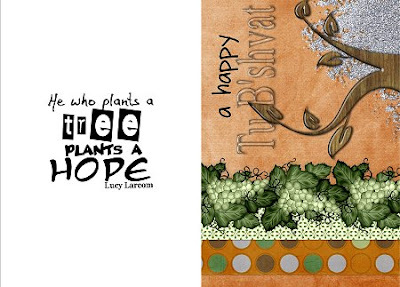 In Israel, many people celebrate Tu B'Shvat by planting trees and eating the fruits for which the Torah praises the Land of Israel, called Shivas Haminim. [wheat, barley, grapes, figs, pomegranates, olives and dates]. 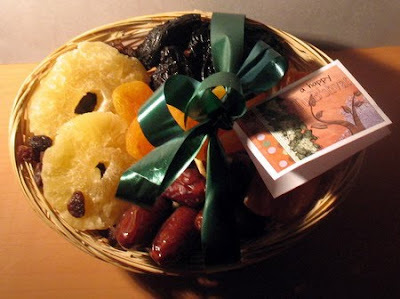 It is customary to eat dried fruit that we have not eaten during the year so we can say the Shehechiyanu blessing. In that blessing, we thank God for keeping us alive and healthy until this day. Usually with Tubishvat the almond tree in Israel blossoms, the first fruit tree in Israel to wake from its winter dormancy. This year Tubishvat is especially important as 4 million trees burned in the great fire on Mount Carmel a couple of weeks ago (see my earlier posts). This, below, is our favorite spot on the mountain, where we always have picnics. The photos below were taken at my birthday in July 2010. And this is the same spot, same stone picnic bench, in December 2010. 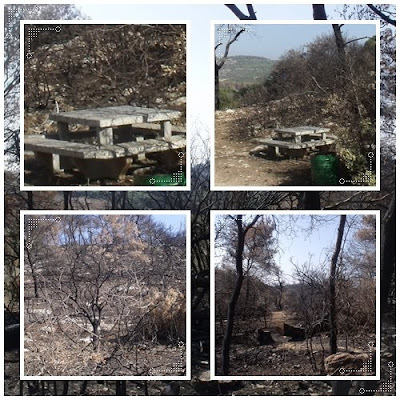 If you want to donate to the Kerem Kayemet, the Jewish National Fund, and help them to replant the Carmel Forest, you can click here. You can plant a tree in memory of a loved one or in name of your loved ones. 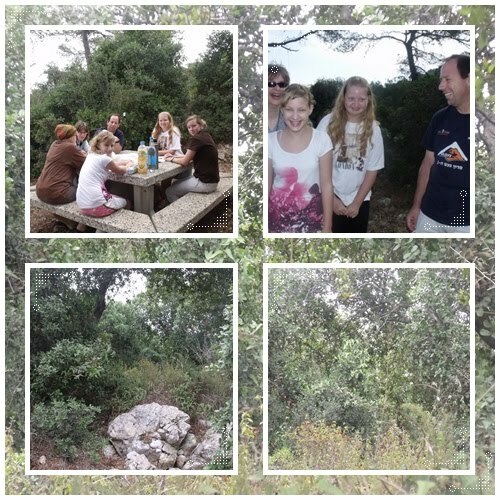 In honor of Tu Bishvat, help make the Carmel green again! 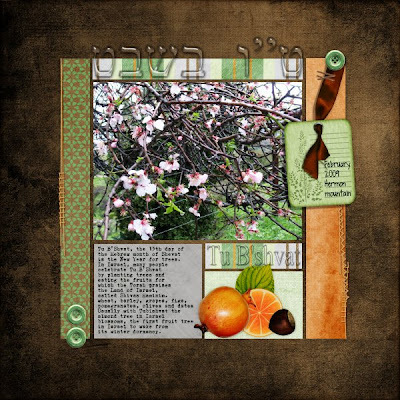 This kit has: one button, two flairs, with and without shadow, 4 crafted flowers, two of them shadowed, one wood frame, one fruit slice, grapes, journal tag, one realistic leaf, one crafted leaf, a nut, a pommegranate, a splat, a journaltag with ribbon, handpainted tree, shadowed doodle tree, two acrylic tubishvat words (english and hebrew), 5 wordarts and 16 papers. Fullsize, 300 DPI. 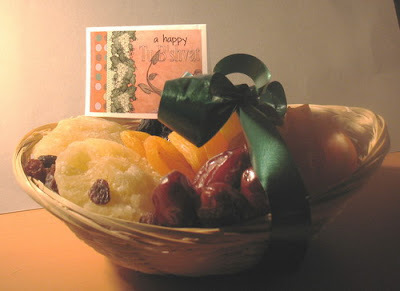 It is customary to give good friends or family a small basket with dried fruits. I made a gift card with the freebie kit above, which you can print out. Click the sample below to download the full-size card, print and fold. Wat leuk je post hierover. Weer wat geleerd over het Joodse geloof. Wat een mooie traditie Elsina. Ik had er nog nooit over gehoor, maar vind het erg interessant. Wat een verschil de foto's van voor en na de brand. Echt erg hoor. Een lieve groet van mij. MAAR HET ZIET ER WEL LEKKER UIT! WAT JAMMER DAT JE MOOIE PICKNICK PLEK ER ZO ANDERS UIT ZIET NU. DE BRAND WAS OOK ENORM!! Ik hou zo van bomen, hoe schever de stam, hoe mooier! Leuk dat je meedoet met mijn Giveaway. Ik heb de Elsina briefjes in de hoge Giveaway hoed gegooid, finigers crossed! Lovely card and wonderful photos your shared, thanks! Wat jammer van die vele bomen die verloren zijn gegaan en jullie favoriete picknick plek, zo kaal nu. Wat interessant om over de Tubishvat te lezen. Hi Lynnanne, I tried to contact you trough your blog, but your profile has been set to private. Anyway, I checked the links and they both worked for me. I never take down freebies. Can you try again?